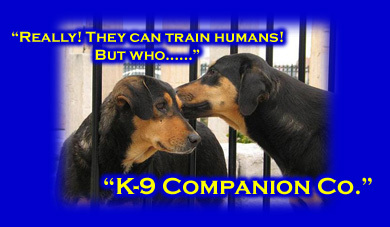 HOME ABOUT US K-9CC CODE OF ETHICS TRAINING PHILOSOPHY BOOKMARK THIS SITE! K-9CC: Experienced Dog Trainers Who Care! We are a dedicated group of professional dog trainers that believe in educating clients to create lifelong positive change in their lives. Unlike most trainers, our focus in education is on the dog-human relationship over obedience. We strive to create a deeper bond between humans and their K9 companions. This is accomplished through an educational approach that aims at providing our clients with an understanding of dog behavior and positive training techniques, which can be used in our daily lives for amazing results.